The Canadian and New York governments have intruded on human rights. Here are two examples, and two trivially simple antidotes. First, the case from Ontario, Canada. 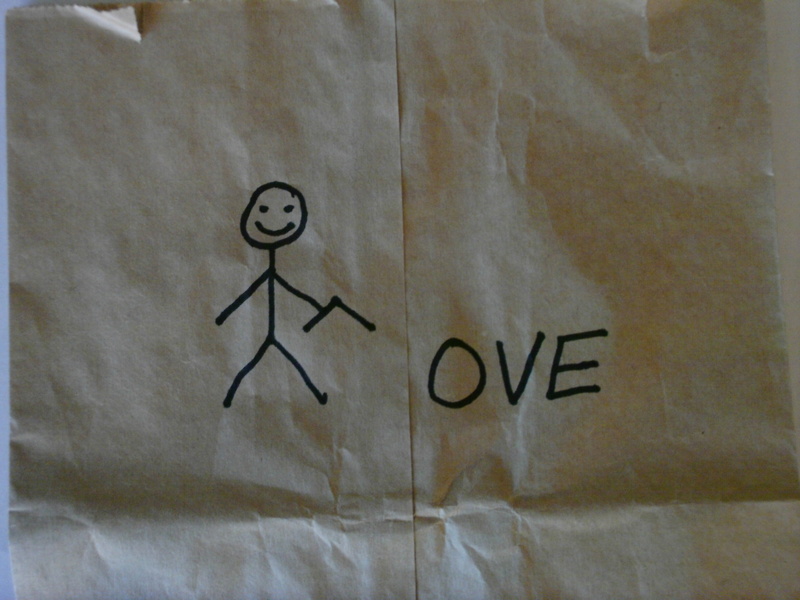 A father was arrested, handcuffed and strip searched in Kitchener, Ontario after his daughter drew a picture of a gun at school. A teacher asked the four year old ‘Who is that man and why does he have a gun?’ The child replied, “That’s my daddy’s. 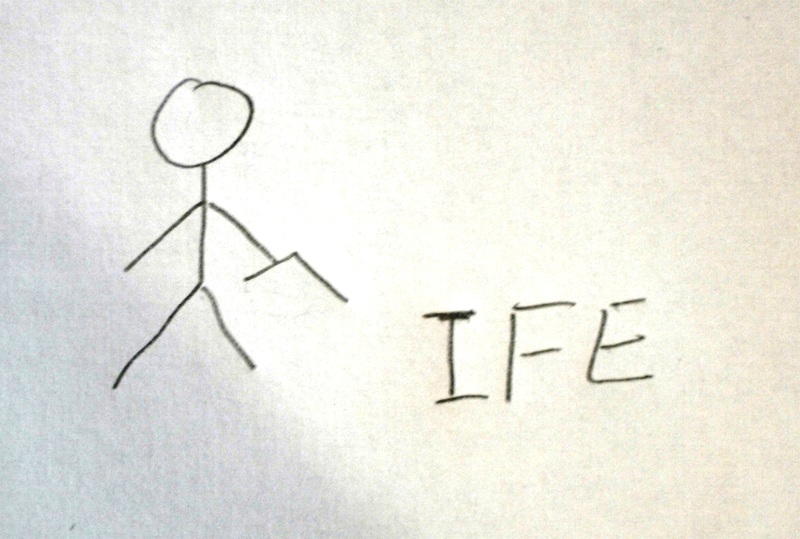 He uses it to shoot bad guys and monsters.” This was too much for the teacher, school principal, the director of Family and Children’s Services, and the Waterloo Regional Police Inspector. The mother and four children were taken from their home for individual interviews. The mother was interviewed at the police station and the children were taken to a Family and Children’s Services office and interviewed separately. The father was released after several hours of interrogation with no charges. 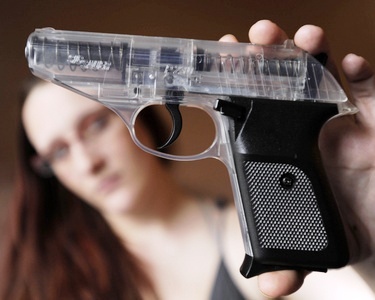 The gun was a transparent toy that belongs to one of the children. I think it is an airsoft pistol. The solution is simple. 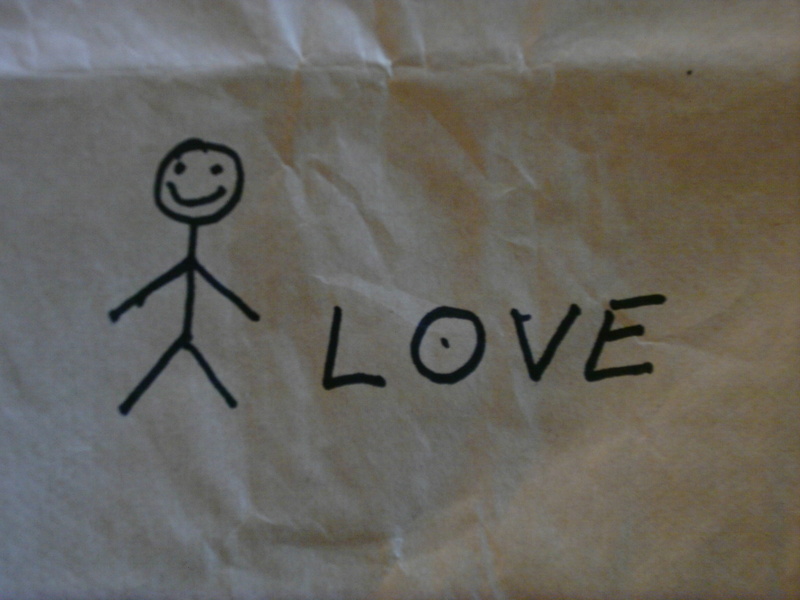 Here is a lunchbag that sends a simple message. Dangerous L’s need to appear on the bottom of sneakers (trainers) and on the back of pants pockets. You can read about the arrest HERE. This is the hallmark of a government which has too much time, money and power to control its citizens. Again, the antidote costs a dime. 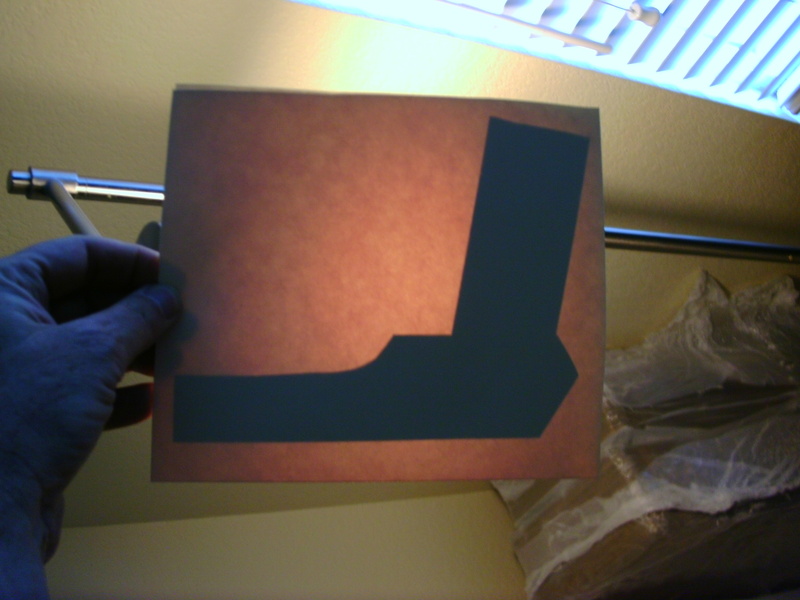 Here is the aluminum tape silhouette that belongs in every student’s backpack and businessman’s briefcase. Why, they even make great bookmarks when slipped into text books. Perhaps you or those you love are unfortunate enough to attend a government school. 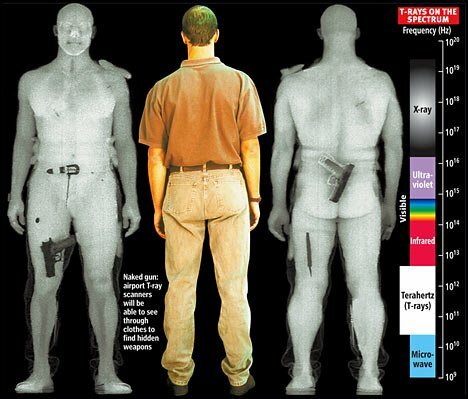 There you might encounter a “zero tolerance” policy where even the image of a weapon is offensive to sensitive eyes. Fear not. 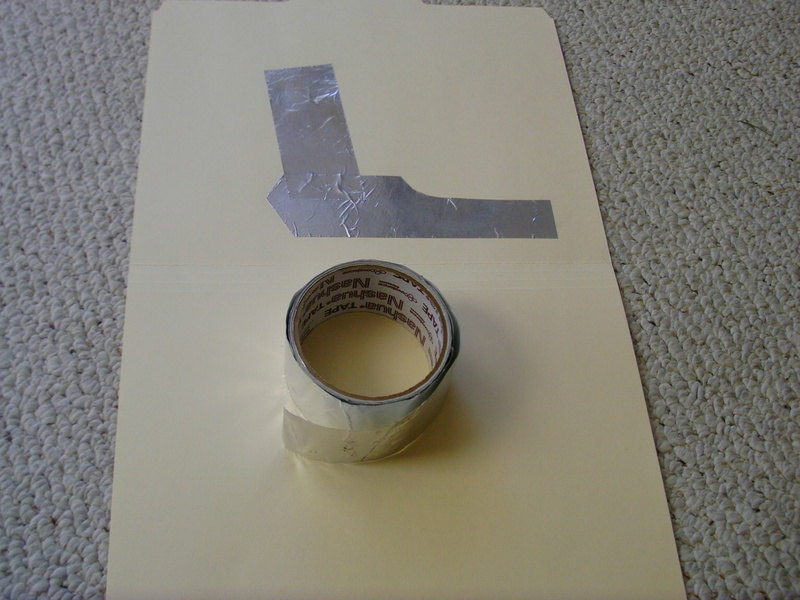 Simply laminate the two aluminum tape strips INTO a manila envelope. Now the bookmarks are safe even for delicate public educators. 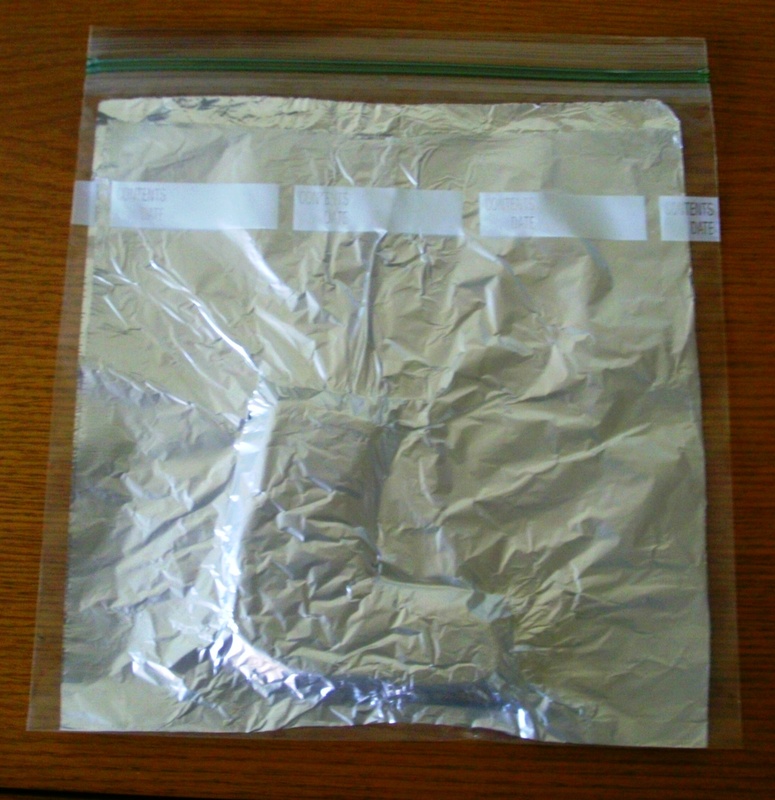 Should my lunch bag contain a piece of foil wrapped pizza? The message is simple. Get the “L” out of our LIFE.